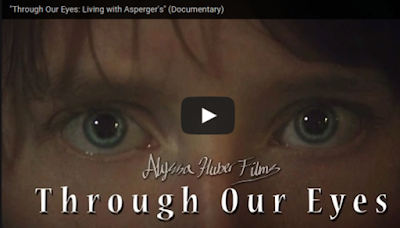 Alyssa Huber is a young Autistic film maker and creator of the documentary, Through Our Eyes: Living With Asperger's. She reached out to me sometime last year and I've been loosely following her latest developments. So after months of effort on her part and patient waiting on mine, she finally released her film. I'm going to send you directly to her site link to watch it because there's a donation button her page. She's letting people watch for free, so if you appreciate her work, send her some money! I watched the roughly 30 minute documentary (there's an extended version for sale on DVD) and it follows Alyssa and her self-referred "Aspie" friends, describing their lives. In that short time, they manage to cover many common Aspie experiences, such as sensory issues, routines, thinking patterns, and anxiety and depression. They also talk about their experiences in regular schools and during home schooling, and the transition into higher education and adulthood. The documentary also gives the perspectives of parents, educators and a psychologist, who refers to autistic strengths as "super powers." 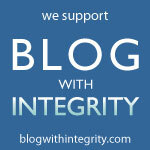 All in all, it's a very positive and informative look into the Aspie world through their eyes. I'd say it's an absolute must watch for young Aspergians, especially teens. They'll be able to relate to Alyssa and her friends, and I think they can serve as excellent role models. It's also just a great documentary to help anyone really understand Asperger's and get a different perspective on our lives.